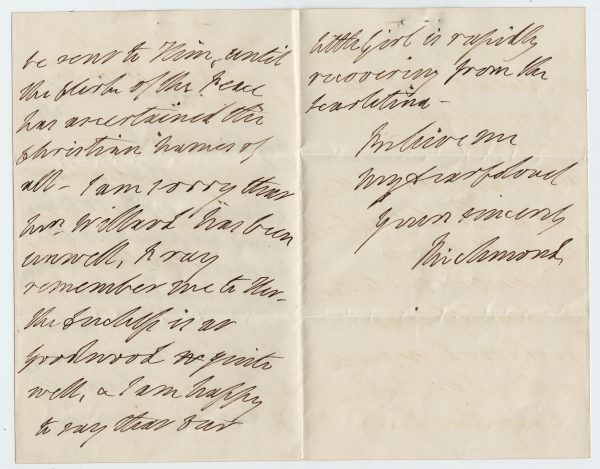 Autograph Letter Signed ‘Richmond’, to “My dear Colonel”, about the names of gentlemen to be recommended to the Lord Chancellor. 3 pp. 7 x 4 inches, in very good condition, one pinhole. London, 1 March 1844. Charles Gordon-Lennox, 5th Duke of Richmond (1791-1860), was aide-de-camp to Wellington in the Peninsula and France (1810-14). During the campaign in the Netherlands he was aide-de-camp to the Prince of Orange, and after the prince had been wounded at Waterloo, joined Wellington’s staff as an extra aide-de-camp. He was Postmaster General from 1830 to 1834.